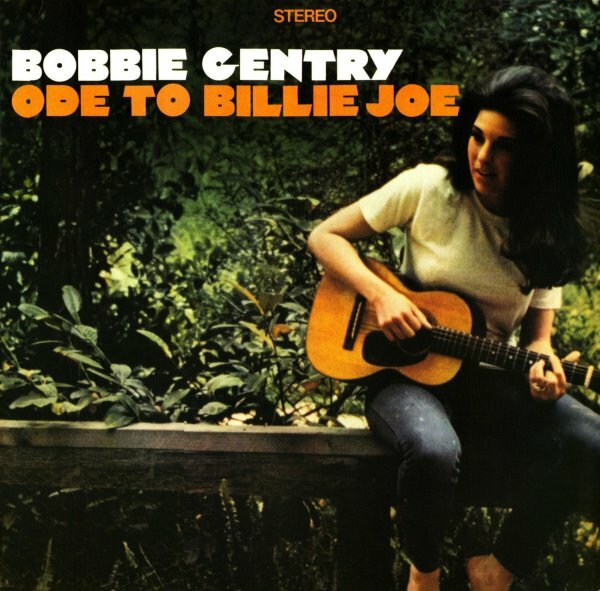 BY COLE NOWLIN Bobbie Gentry’s 1967 hit “Ode to Billie Joe” — an eerie, genre-transcendent ballad of suicide and forbidden love– is the quintessential riddle wrapped in an enigma. The enduring mysteries of the song have befuddled listeners and sparked debate ever since it’s release. What was thrown over the bridge? Why did Billie Joe kill himself? Even more mysterious and intriguing than the song was the musician behind it, Bobbie Gentry. Gentry enjoyed a meteoric rise to stardom, enjoying roughly a decade in the limelight, before she gradually retreated from the public eye, eventually disappearing altogether. Where is Bobbie Gentry? What has she been doing? These questions have resonated with fans for years. 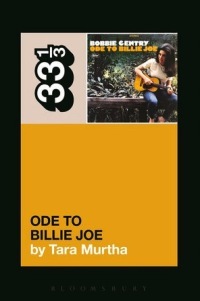 One such fan happens to be Philadelphia’s own Tara Murtha [pictured, below right], who recently wrote a 33 ⅓ about the album Ode to Billie Joe and Bobbie Gentry. 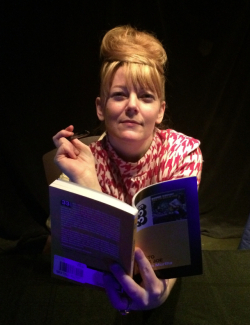 Phawker caught up with her recently to chat about Ode to Billie Joe and Bobbie Gentry, and pick her mind about some of these big questions surrounding both. PHAWKER: What made you choose Ode to Billie Joe to write a book about? TARA MURTHA: I feel the story of the album is wrapped up in the story of the artist, they are completely inseparable, so it was the story of Bobbie Gentry and how she was this giant mega star and a real pioneer in her own right who just disappeared after just over a decade in show business. So I was attracted to her story through the lens of the production this record. Especially, I came across pretty early on an interview with her that she did in 1974, which was several years after she had left Capitol Records, in which she claimed that she produced the record “Ode to Billie Joe” but didn’t get credit because [back then] women didn’t get credit in the studio, and that came to be the yarn that I’ve started pulling at. And if I could find out anything more about that, if that was true or not. PHAWKER: So let’s just cut to the big mystery, what do you think was thrown off the Tallahatchie bridge? TARA MURTHA: So I understand why someone is obsessed with what was thrown off the bridge, because if you solve that, you can solve why Billie Joe jumped off the bridge. Most people saw it as a fetus or baby, some people saw it as a ring or trinket, and I think she wrote it in a literary fashion, knowing that she wasn’t going to be revealing what it was. In film they call it a McGuffin, it’s a Hitchcock term that means something that drives the story forward but is actually incidental to the point. I think she very consciously wrote it that way but I do think that, having talked to people who are working with her at the time, that she very consciously assumed that listeners would think it was a baby. And she knew that it would stir up controversy, and that that was strategic. PHAWKER: The song was turned into a movie, also called Ode To Billie Joe, what’s your take on the film? Good, bad, beside the point? TARA MURTHA: It’s so hard to say what I would have thought about the movie without having done all this research and her and on the song and on the production of the record — if I had, just like most people, heard the single and then saw the movie a few years later. What really puzzles me though, and it’s something I’ll never know unless I talk to her directly or she leaves her memoir or something, is that it doesn’t make sense to me that she had been talking about working on adapting “Ode to Billie Joe” from the very beginning when the song came out. And that didn’t happen for almost a decade, and when it did, she wasn’t really really involved in the film very much. They hired a guy, Herman Raucher, who was famous at the time who had written Summer Of ‘42, and he wasn’t even a fan of the song, it wasn’t that he didn’t like it it just wasn’t his world, he wasn’t aware of it. So they brought in this hired gun and I talked with him and he told me they had a couple conversations, but it was essentially left up to him to fill in the blanks of the big mystery that everyone had been talking about for the past decade. And I don’t know what happened, I’m not sure what to make of that disconnect. If it would have been an entirely different movie had it been made five years earlier? Probably. And if at that point she just didn’t want to come up on her own, but I don’t know, even after I talked to Herman I don’t really know what she told him. They definitely had some significant conversations, because when you read his novella that was based on the screenplay there are all these references throughout to things she said in interviews, and characters in other records. So he definitely cast a big wide net and assembled it into a narrative. But I don’t really know what to make of the fact that she talked about it for almost a decade and then when it happened kind of phoned it out. PHAWKER: So, she stepped away from everything when she was just past the apex of her career, a time when she still had a lot on the table. I imagine it must have been difficult to write around a person and their story without being able to talk to them, but based on what you gleaned through your research, why do you think she called it quits, when she still had so much to offer? TARA MURTHA: Well, I dont know if we consider it ‘calling it quits’ because we don’t know what she has been doing. She definitely stepped away from the spotlight, but when I talked to other people that researched her career a bit, there’s rumors that she has played records over the years as an uncredited musician. She had such an interest in film and television that it wouldn’t surprise me if she was doing some behind the scenes work. The mystery is what has she been doing. Jimmy Haskell told me that in the studio she was always watching the engineers, and what decision they were making. And she was someone who was an excellent painter, very artistically inclined, she designed her own wardrobe for Christ’s sake. And then suddenly started being this fountain of creativity, that doesn’t make any sense to me. I would buy that she stopped recording and was writing something now, certainly I would assume she is still painting. That’s what mysterious, has she just completely removed herself from the realm of commerce? Or being something personal and significant happen that made her not want to be creative anymore. I don’t know. What I started out researching was, ‘Where is Bobbie Gentry?’ and that changed into ‘Who is Bobbie Gentry?’ and then ‘Why did she walk away?’ to ‘What has she been doing?’ But if I had to commit to a theory, it has been ten years, she had a small child at home, she had broken up with her husband, she had been dancing two shows a night, and was kind of exhausted. Every person around their late 30s, early 40s, takes a moment to take stock and wants to see what they want to do next, see what’s important and what’s not. And I don’t think there’s a hard line in the sand. I think she decided to focus on her life and not her career for a little bit, and she really liked it. She sued the tabloids, she was one of the first people to do that. She saw the tone of the tabloids and I think she just decided that for it to make sense it had to be all or nothing that way. It had to be life or career, and she just chose life. PHAWKER: She was at a very frenetic pace at the end. The Vegas shows might have been the most demanding, busiest time of her career. TARA MURTHA: And I saw an interview on BBC only recently that I hadn’t seen before, and I don’t remember it verbatim, but she essentially said in retrospect she had been doing so much that she thought if she stopped, it would all go away, her success. Of course having been a little kid on a farm in Mississippi with no electricity, I think that shows she realized that it wouldn’t disappear. She had become Bobbie Gentry, and that was good enough. This entry was posted on Wednesday, April 15th, 2015	at 12:16 am	and is filed under News	. Responses are currently closed, but you can trackback from your own site.